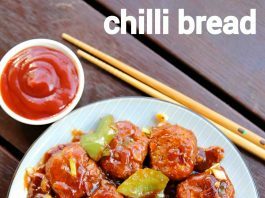 chilli bread recipe | bread chilli recipe | bread chilli manchurian with detailed photo and video recipe. 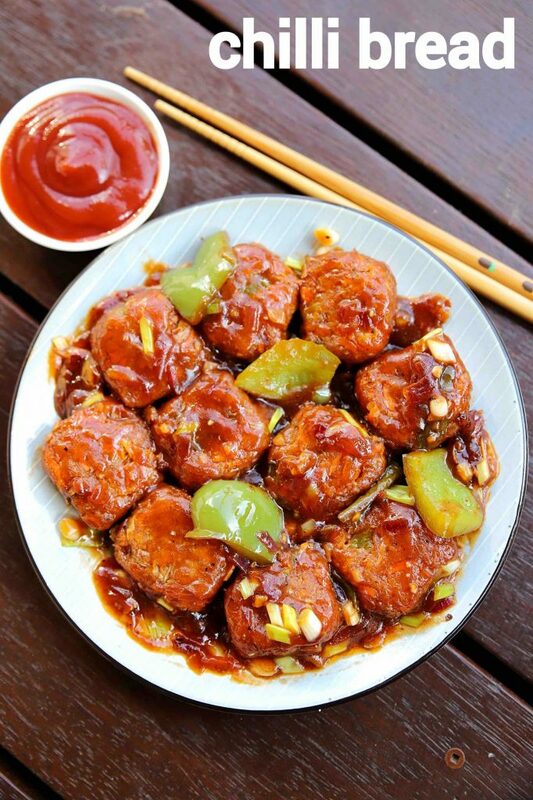 an interesting spicy snack recipe made with leftover bread and chinese sauces. 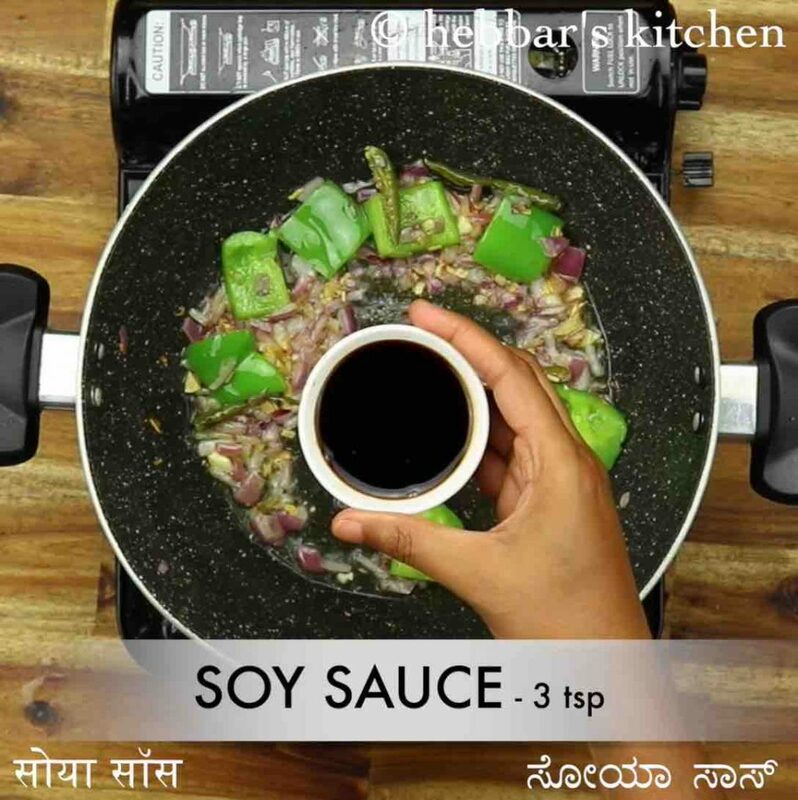 the recipe is very similar to any other indo chinese chilli recipes are use the same sauces and ingredients as others. it can be an intriguing and colourful dish to be served as an appetiser in kitty party or perhaps as a starter in any meal. 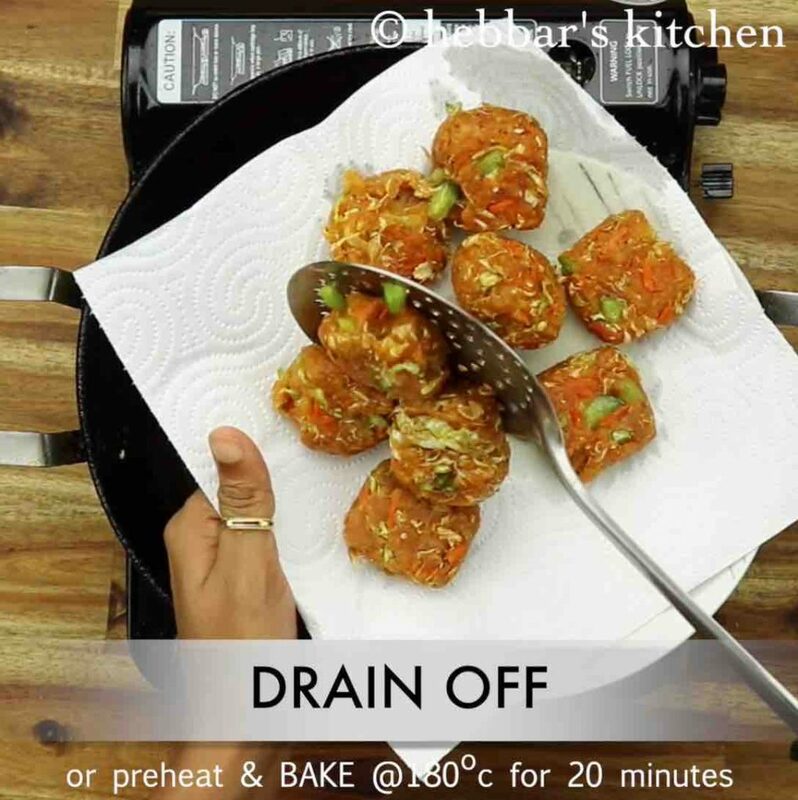 chilli bread recipe | bread chilli recipe | bread chilli manchurian with step by step photo and video recipe. 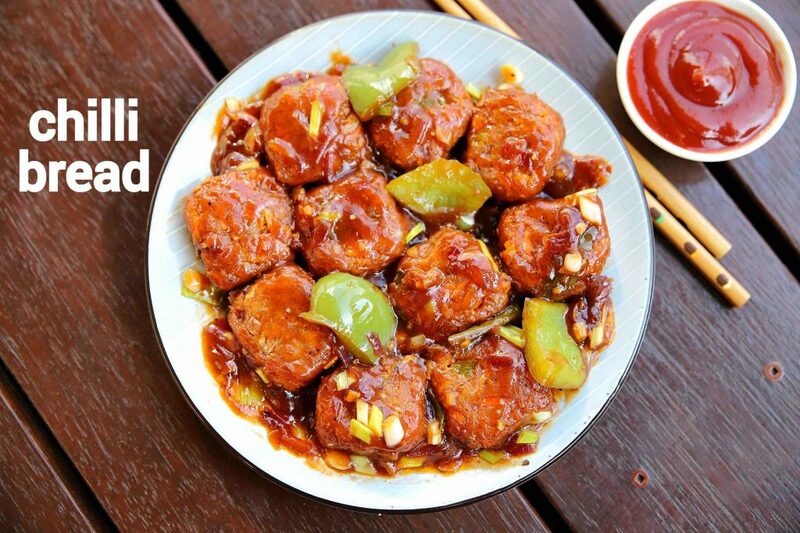 indo chinese recipes have come a long way and still evolving with its offerings. basically, a type of cuisine started by street vendors has become a national sensation and has a fan following across india. 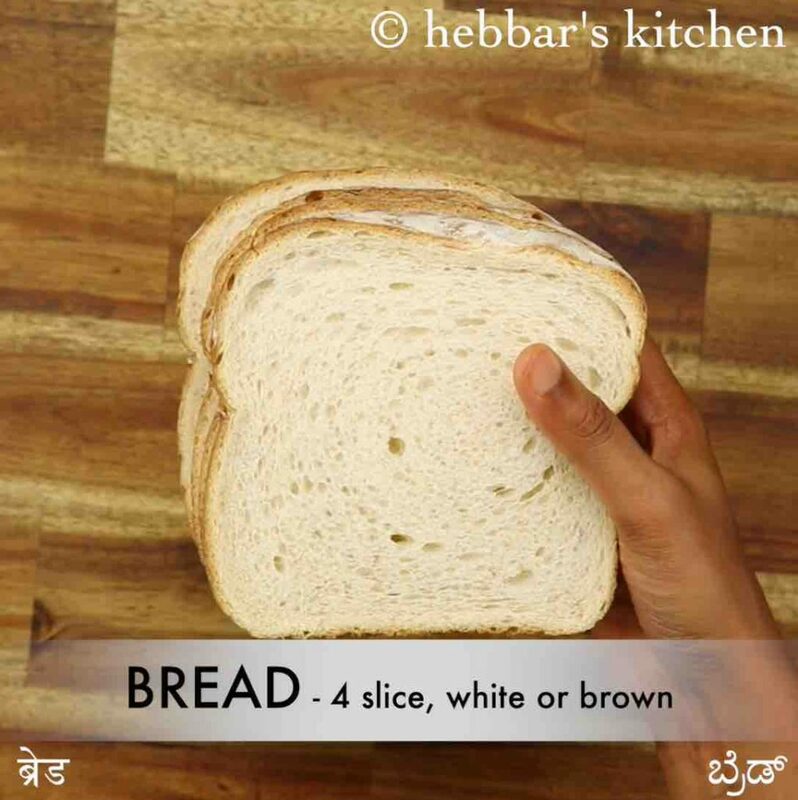 one such spicy and flavoured street food recipe is chilli bread made with leftover bread slices. the recipe for the chilli bread is very similar to my previous bread manchurian recipe. 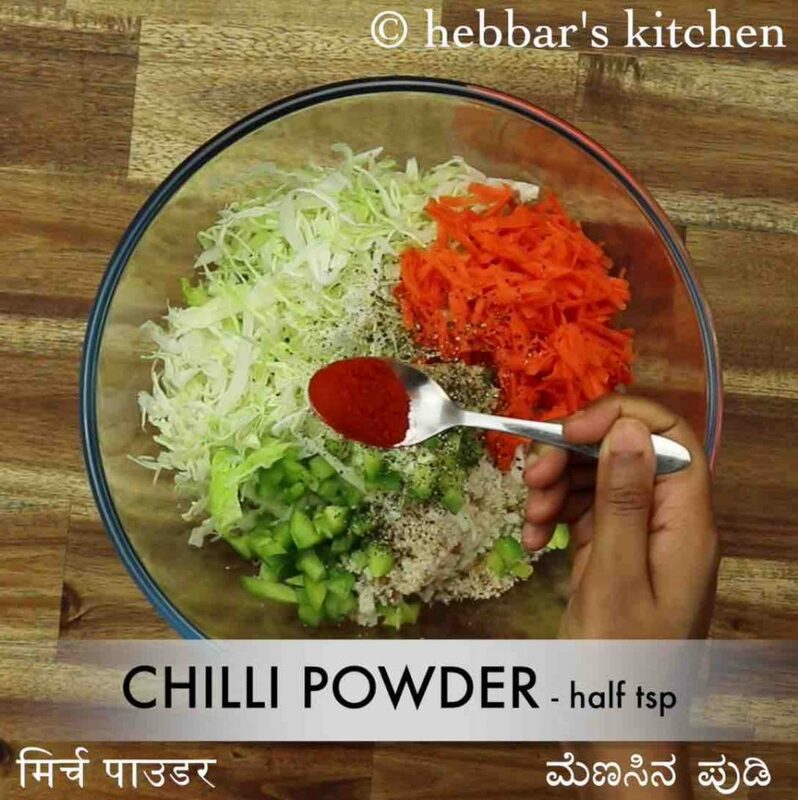 and the only difference introduced in this recipe is the addition of green capsicum and slit green chillies. well, to be honest, last time i received a lot of queries regarding the stiffness and sogginess of the bread pakoda used in this recipe. i would like to clear with this recipe that once the bread pakora is made it must be used immediately with the chilli sauce and obviously served immediately. with the time and because of the sauces added to the recipe, the bread pakora would absorb the sauce and may turn soggy. 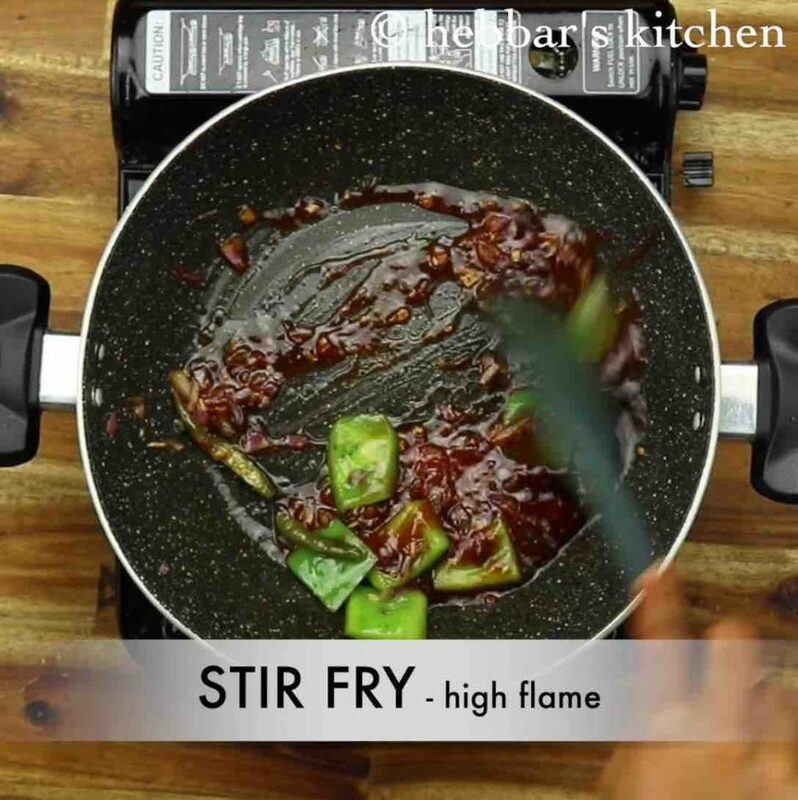 the bottom line is to serve it instantly once it is removed from the wok. 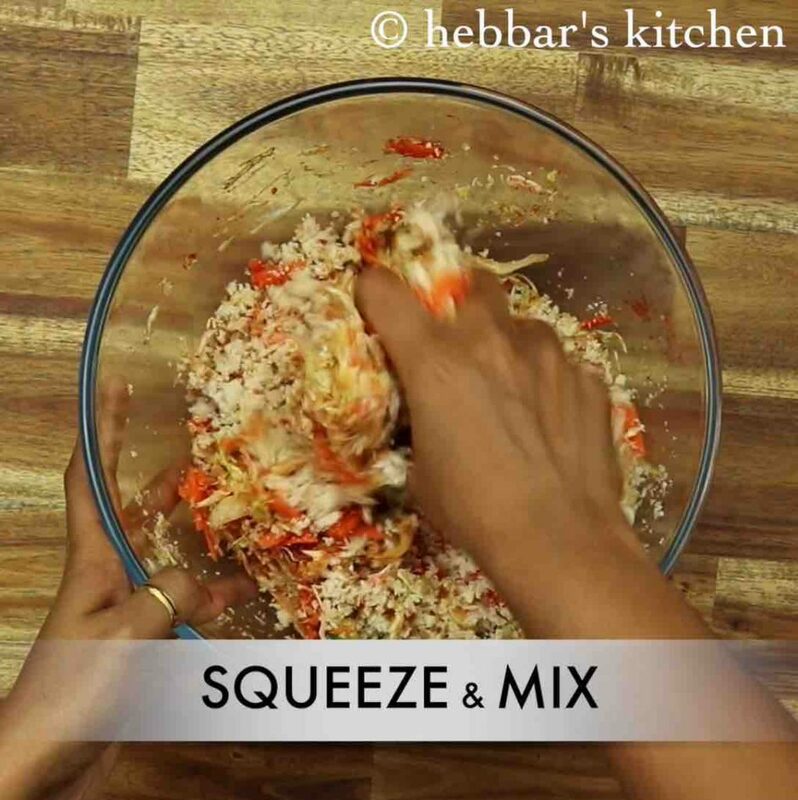 while the chilli bread recipe is easy and straightforward, without any complications, yet i would like to add a few tips and suggestions. firstly, i would heavily recommend using white bread or sandwich bread compared to others. particularly avoid multigrain bread with seed as it may not hold the shape and stiffness. 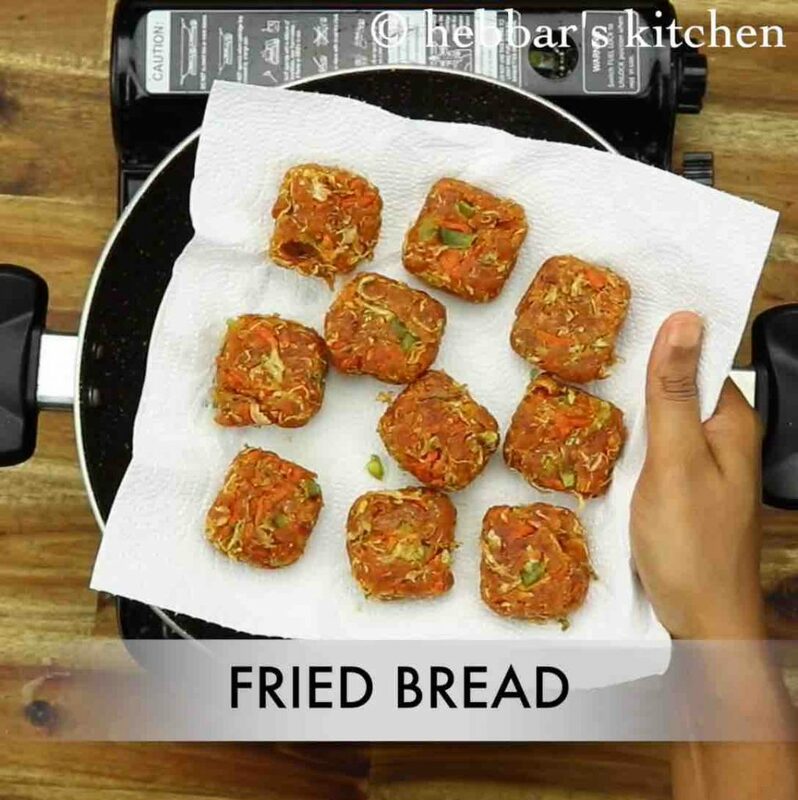 secondly, you can use appe pan to fry these bread pakora and give a healthy option. 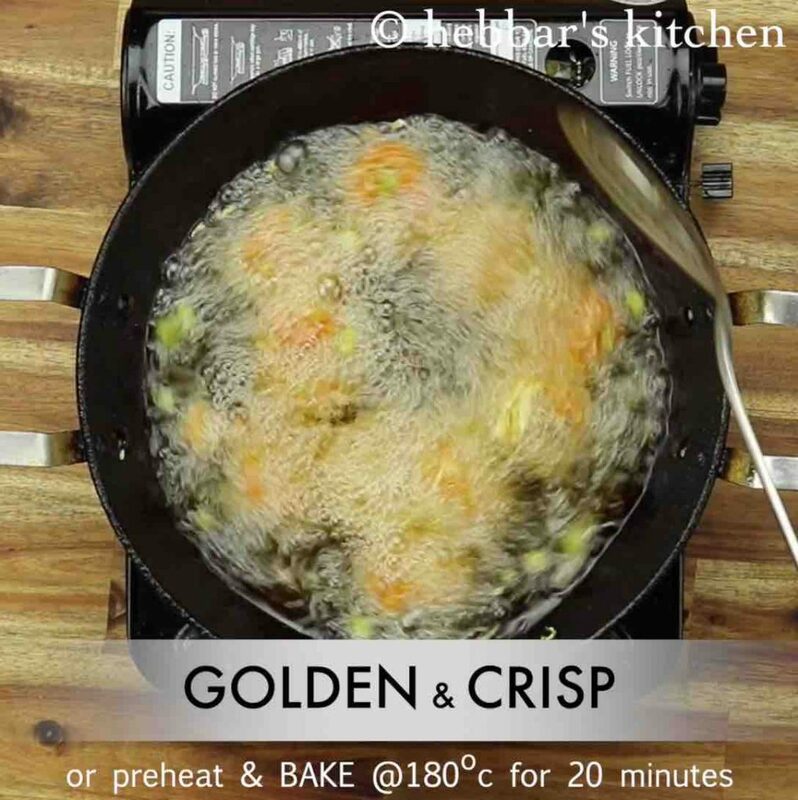 however, it is much easy and also the result is much better when it is deep fried. lastly, in the place tomato sauce, you can also add maggi hot and sweet sauce to have an extra zing. i personally like the latter but in this recipe, i have used plain tomato sauce and have sticked to basics. 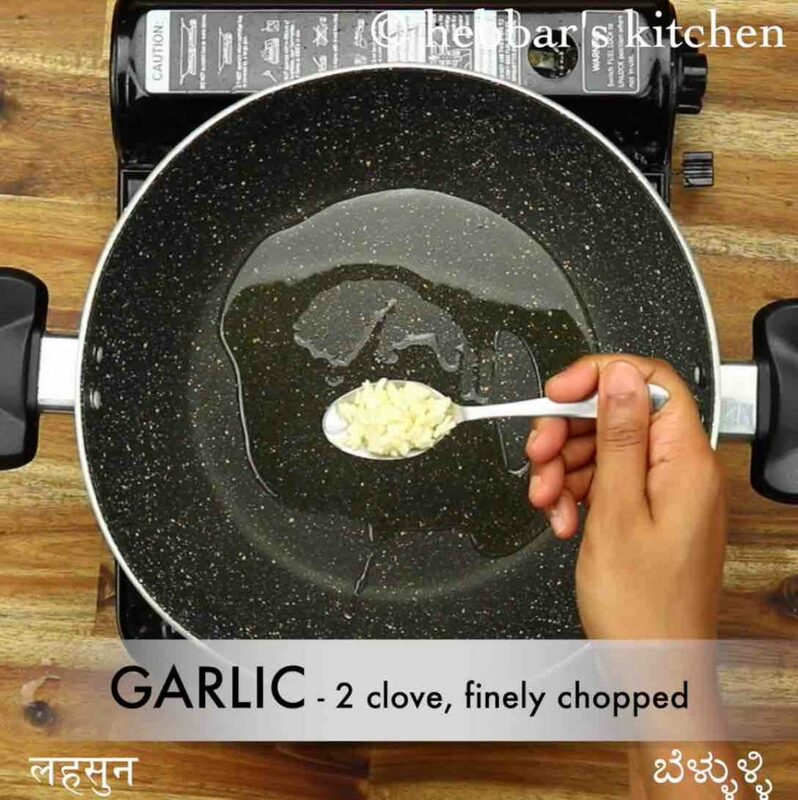 firstly, in a large kadai heat 4 tsp oil and saute 2 clove garlic, 1 inch ginger and 2 chilli on high flame. 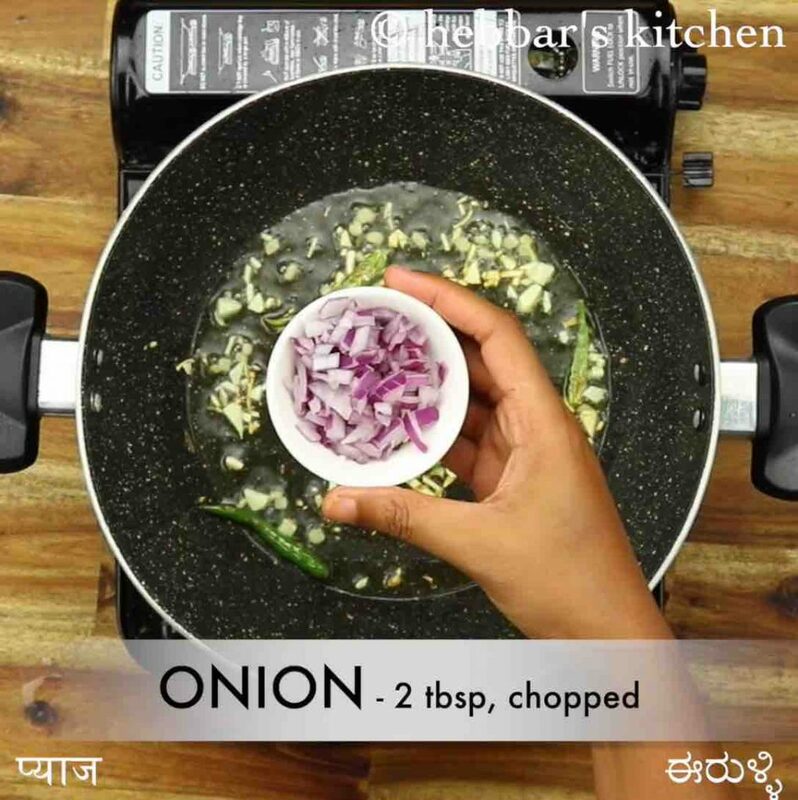 also saute 2 tbsp onion, 7 cubes capsicum and saute on high flame. 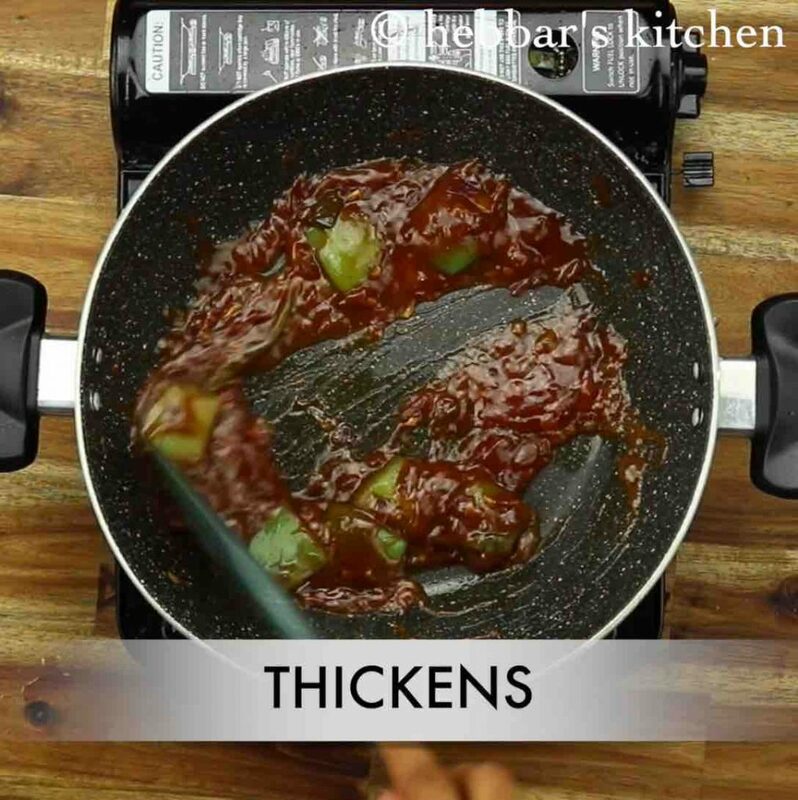 additionally add 1 tbsp vinegar, 3 tsp soy sauce, 2 tbsp tomato sauce, 1 tsp chilli sauce, ¼ tsp pepper and ¼ tsp salt. 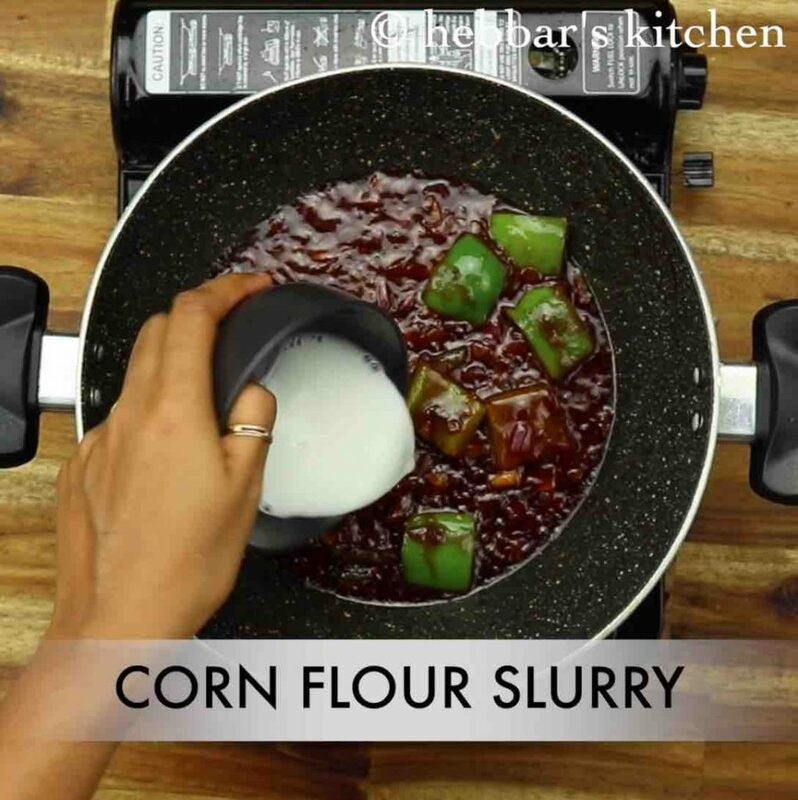 add cornflour slurry. 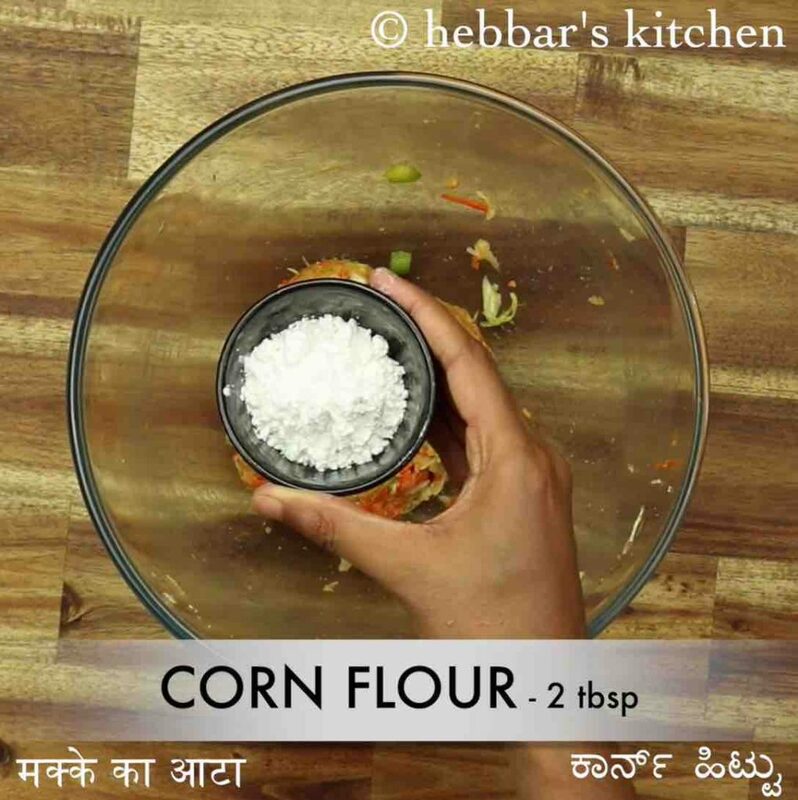 to prepare corn flour water mix 1 tsp of cornflour with 2 tbsp of water. give a good mix until the gravy slightly thickens and turns translucent. additionally, add fried bread and 2 tbsp spring onion. 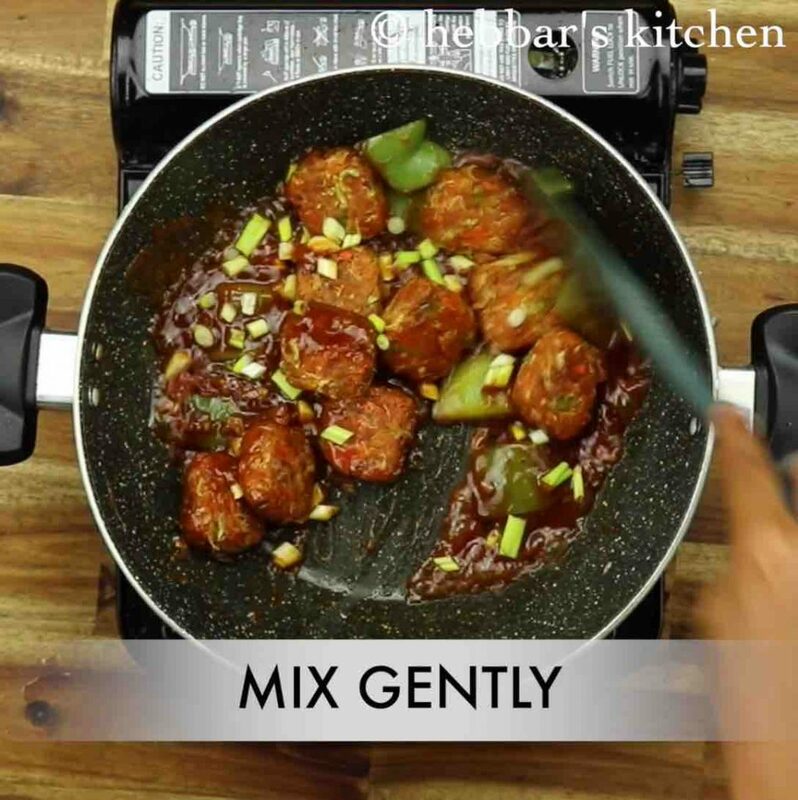 mix gently making sure the sauce has coated well uniformly. finally, transfer chilli bread to a serving plate and garnish with chopped spring onions green. serve with fried rice. firstly, in a blender take 4 slices of bread. 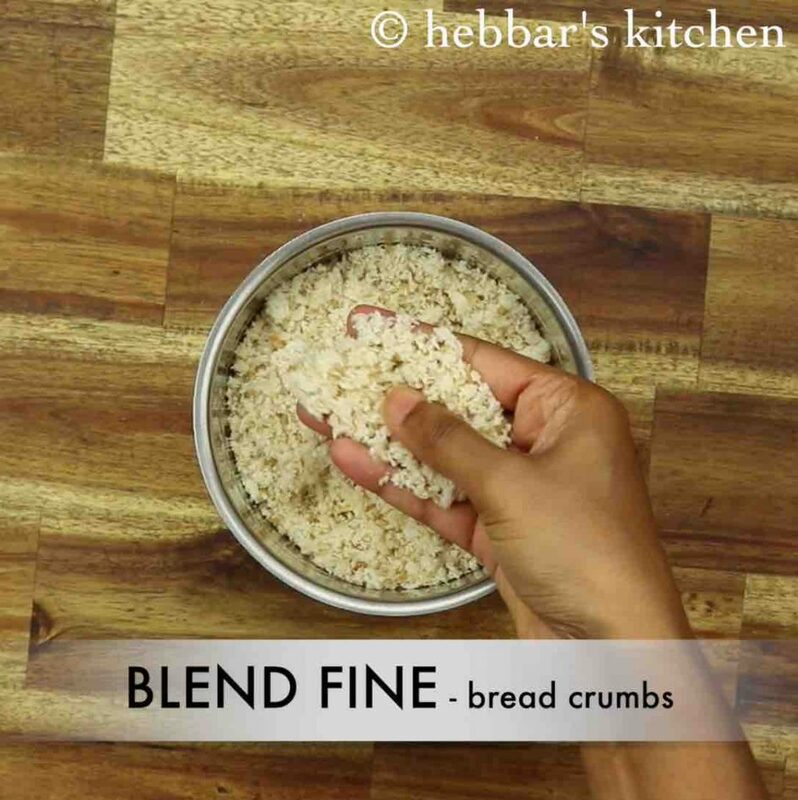 pulse and blend to form bread crumbs. 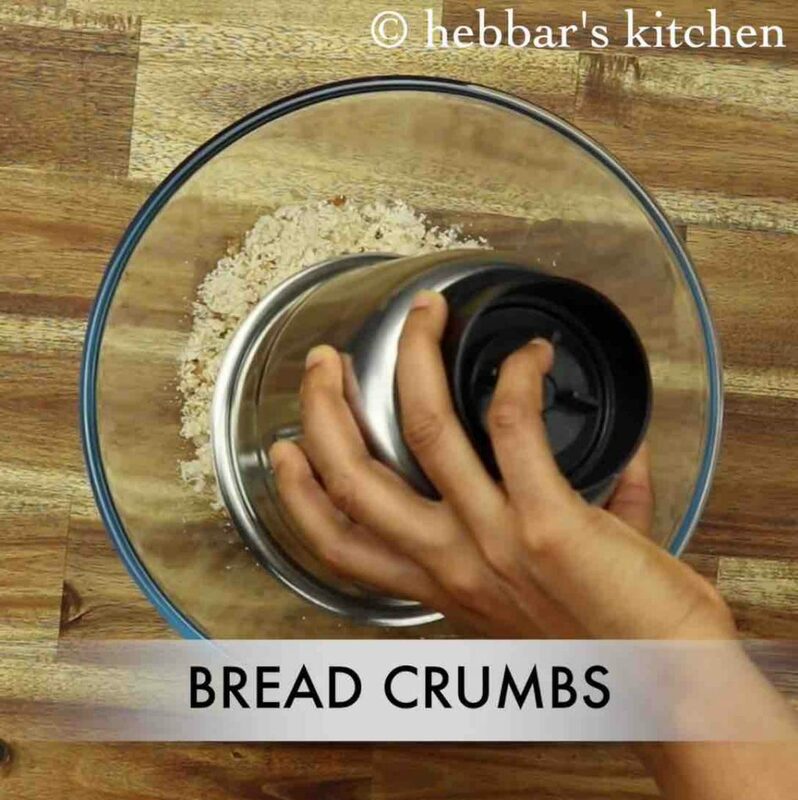 transfer the bread crumbs into a large mixing bowl. 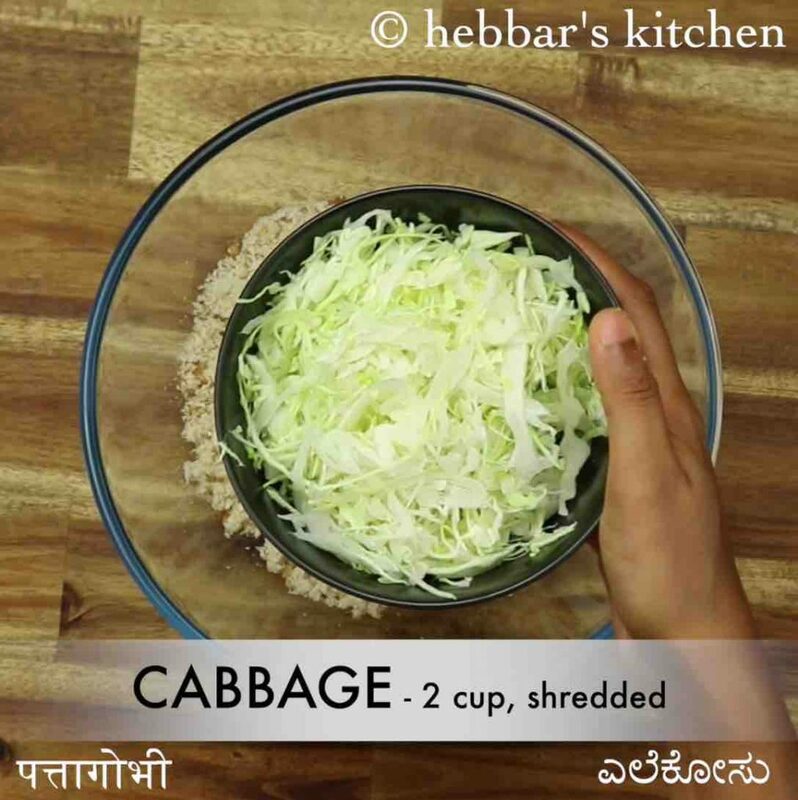 also add 2 cup cabbage, 2 tbsp carrot, 2 tbsp capsicum and ½ tsp ginger garlic paste. further add ½ tsp pepper, ½ tsp chilli powder, ¼ tsp salt and 2 tsp soy sauce. 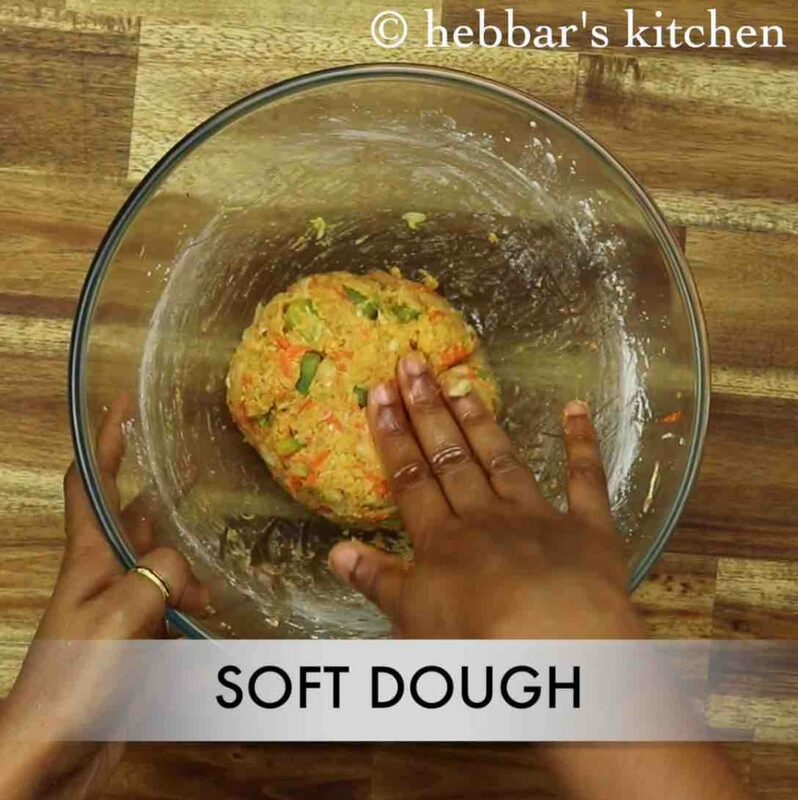 squeeze and mix well until the moist dough is formed. now add 2 tbsp corn flour and mix well. 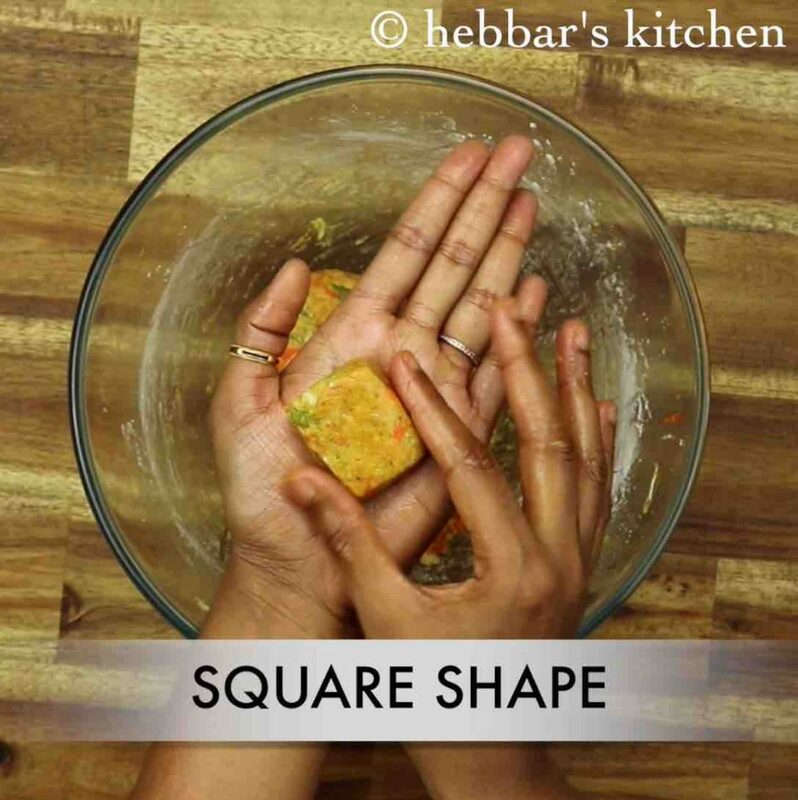 grease hands with oil and prepare small square sized pieces. 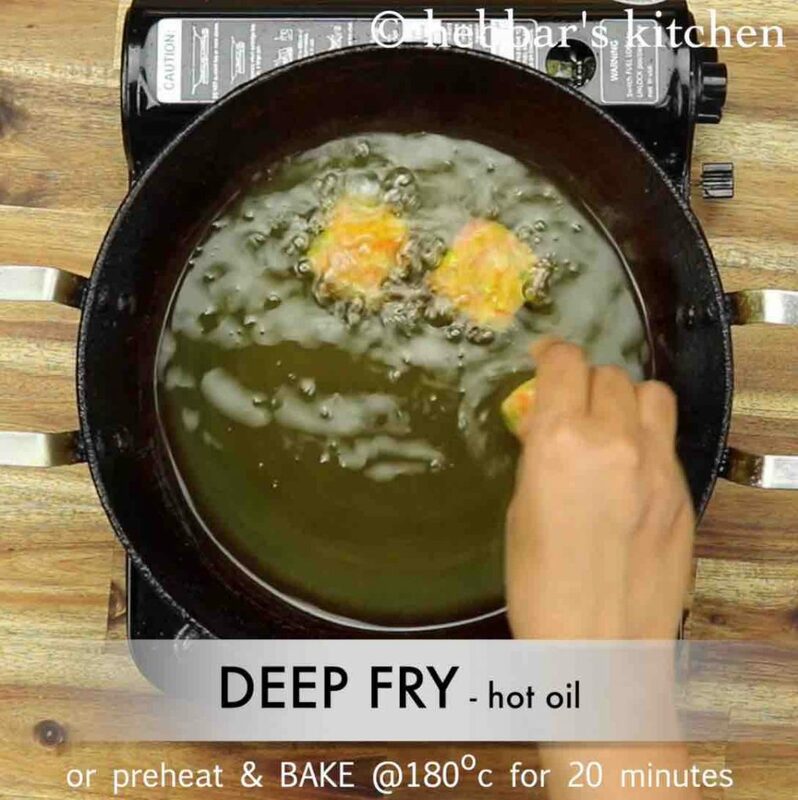 deep fry in hot oil or bake at 180 degree celcius for 20 minutes. stir occasionally, fry until it turns golden brown. drain off the fried bread pieces and keep aside. also, add red food colour to the batter to prepare bright red colour chilli bread. additionally, if you are finding lazy to prepare bread mixture, you can just toast bread slices and prepare the sauce. furthermore, adjust the consistency of gravy by increasing the cornflour water. finally, chilli bread recipe tastes great when served hot and crispy.